Transnational Records is a music label based in Stockholm and Utrecht. We release and produce genre-bending folk music from all around the world with punk, electronic and other influences. 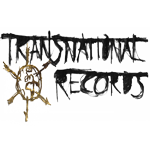 Transnational Records is run by members from the folk punk band Crash Nomada and dutch producer Tom Benders.